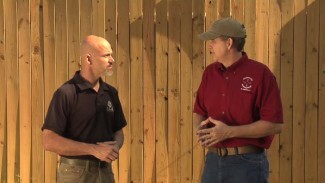 Multiple Target Engagement Drills are a great way to work on contextually appropriate skills, including gun handling and shooting on the move, with a defensive long gun or pistol. 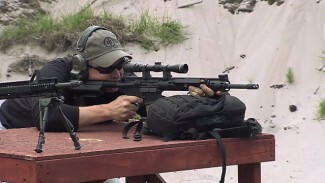 Rob Pincus demonstrates these shooting drills with the CMMG Mk4 5.56mm AR-15-type rifle. Check out Rob’s full CMMG Mk4 review for a closer look at this excellent defensive rifle. These drills can be done on the range even when alone, and you can get great value out of them by employing visualization, movement, and realistic close-quarters rifle handling. Use targets that simulate a high-center-chest area. The Multiple Target Drill works differently from other multiple target training. 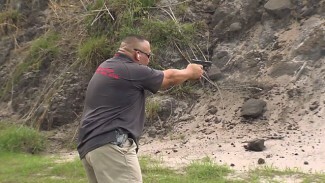 Due to competition influence and timer drills, multiple target training often involves the shooter firing a shot at one target, then swinging the gun over and firing at another target close to the first. While those shooting drills may be valuable if you compete in matches, Rob explains why this is not a realistic approach to training for defensive encounters, especially engaging multiple threats. Instead, Rob recommends using visualization. 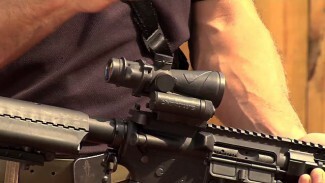 Fire the number of shots needed to put down the first threat, pull the rifle down off your face, put the safety back on, assess the environment, and identify the next threat — in fact, determine if there is another threat — and if there is, bring the rifle back up and engage that threat. There are many ways to make these shooting drills and your overall rifle training more challenging. Work with a training partner who can call out your first target. Run the drill with a depleted magazine and you’ll have to reload. You can engage malfunctions in multiple ways. Targets can be spread out over any distance. Use indicators other than A and B, including numbers and colors.